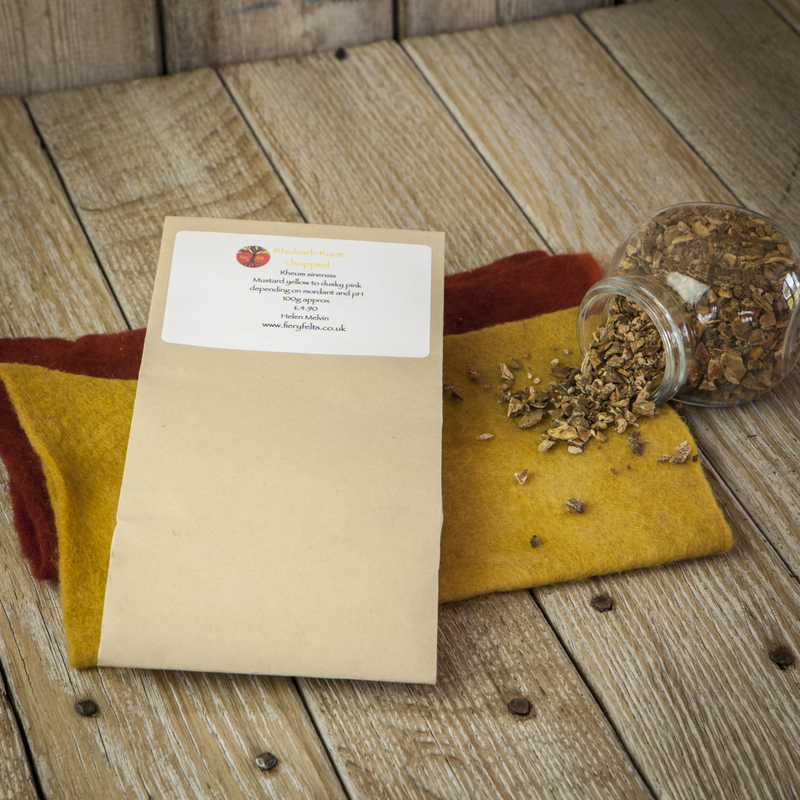 Rhubarb root (Rheum sinensis) is a dye that every dyer should have in their dye cupboard. It is both a strong dye and substantive (no mordant required). Rhubarb root gives two, if not three different colours – a mustard yellow which turns a surprising dusty pink with ammonia added, or a rusty orange /terracotta red with washing soda added.With iron it gives parchment grey The exhaust baths, still give a strong bright yellow without the mustard. For more information on using this dye read my book: Colours of the Earth.